Sun, sand and sea, a thousand “Robinson Crusoe” islands, massive lagoons with different depths and infinite shades of blue and turquoise, dazzling underwater coral gardens; a perfect natural combination for the ideal tropical holiday destination. 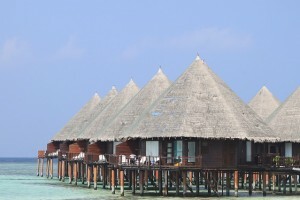 However there is more to the Maldives than just that. Perhaps the ultimate in long haul luxury, the Maldives is currently enjoying incredible growth again having bounced back from a series of disasters in the past few years including the coral bleaching wrought by el Niño and the horror of the 2004 tsunami. Indeed, so superior are its beaches, so cobalt blue its waters and so warm its welcome that the country has become a byword for paradise whether it be for honeymooners, sun worshippers or divers. A geological eccentricity nestled in the middle of the Indian Ocean, the Maldives are a series of ancient coral reefs that grew up around the sides of towering prehistoric volcanoes. These immense structures have long since sunk into the ocean, leaving behind coral islands of incredible natural beauty, now themselves being colonized by travelers seeking unbridled pampering and romance, from the modernity of Male’ to the idyllic paradise of the Southern Atolls. This is life stripped down to simplicity – bright blue skies, all-year sunshine and fantastic diving and snorkeling in lagoons the temperature of bath water. The country embraces travelers from around the world allowing them the freedoms holiday makers require without compromising the islands’ deep Muslim faith one bit. This is an exciting time to visit a country in developmental frenzy. Every few months brings newly opened resorts from top end boutique brands to ecologically sound back-to-nature hotels. Not cheap even at the bottom end, this is a place for a holiday of a lifetime (and that phrase suddenly takes on a new meaning here). The Maldives demands the attention of anyone looking for a uniquely indulgent break, breathtaking nature and sheer beauty that stays with you long after your tan has faded. The warm seas of Maldives have high visibility throughout the year, with water clear enough to see the passing fish as far as fifty meters away at times. Add to that the marvelous formation of over 3000 coral reefs and the free flowing tides of the monsoons. The result of these perfect conditions have created one of the world’s richest diving coral reef areas. 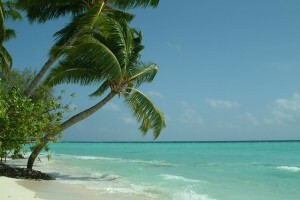 The Maldives specializes in winter sun for Europeans, making high season December to April, when the islands enjoy the dry monsoon with little rain and lower humidity while Europe shivers. February to April is the hottest period and resorts are almost all operating at capacity during this period. Mid-December to early January comes at even more of a premium due to Christmas and New Year and prices are even higher. Easter and the Italian holiday week in August also attract peak prices at most resorts, especially the Italian-oriented ones. Diving is good year-round, although a basic rule is that life on the reef is more varied and visibility better on the western side of any atoll from May to November and from the eastern side of any atoll December to April. This means you’d be wise to choose your resort accordingly. The surfing season runs from March to October, which is great as this is when resorts are cheapest. There is no bad time to visit the Maldives, although if you’re interested in spending time in Male’ or any other inhabited islands, Ramazan is a time to avoid as restaurants are closed and people aren’t always at their most receptive. There are no restrictions on foreign nationals entering the country. Israelis and people who have Israeli stamps in their passports are perfectly welcome, which is rare in the Muslim world. Visas are not needed for visits of 30 days or less. Theoretically travelers must have US$30 per day for the duration of their stay. If you’re on a package you’ll usually have no choice about the airline you fly, as it will be part of the package. Fully independent travelers (FITs) should shop around for both scheduled and charter deals. More and more chartered airlines are selling flight-only seats and these can be good deals. The other advantage of charter flights is that you can fly direct from Western Europe to Male’, without the usual change in the Middle East or Sri Lanka common for scheduled airlines.